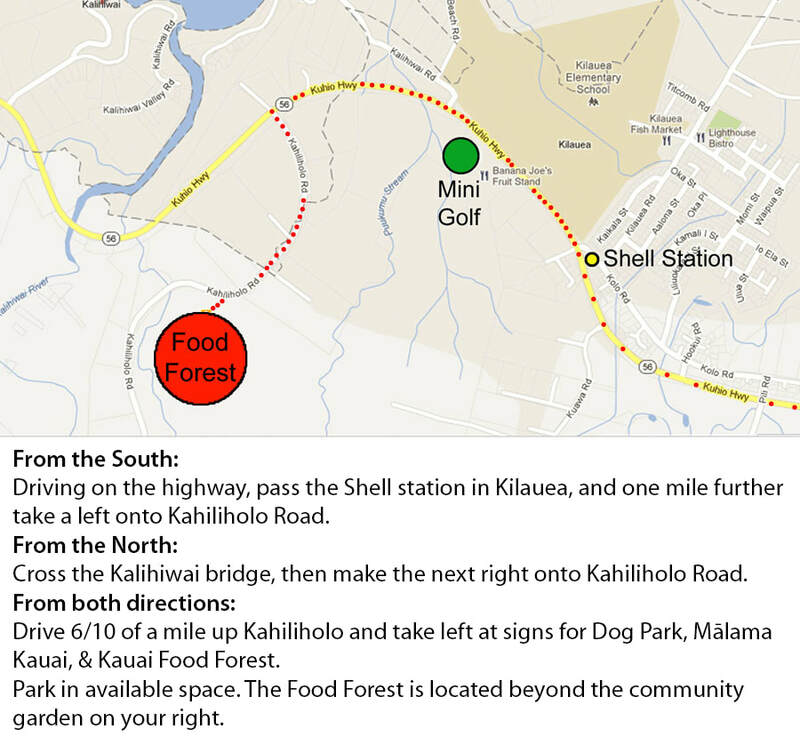 The Kaua`i Food Forest occasionally provides educational tours to groups of 8 or more by request. The tour will be led by one or more knowledgeable volunteers directly involved in the ongoing development and care of the forest. 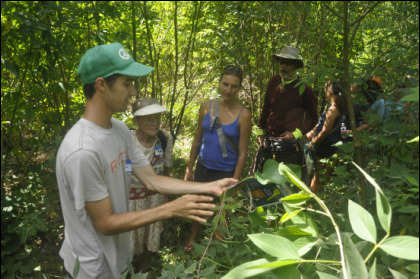 The tour includes an overview of the purpose and history of the project; a guided walk through the forest that features the diversity and interrelationships of plants and practices conducted on the site; free time to walk through the forest; and enjoying fresh fruit from the forest (when available) or locally grown fruit in season. Visitors learn the basic concepts of building soil fertility, creating resilient plant communities, achieving food security, as well as tropical plant propagation and seed saving. Call (808) 652-4118 to request a tour or for more information. Self guided tours are also encouraged as the forest is free and open to the public every day of the year. Please remain on the grassy walkways and eat only from the fruit cage (located near the toolshed and greenhouse) unless you have been personally introduced to a plant by a steward of the forest. We have many unusual species and varieties of plants, some of them toxic if ingested.